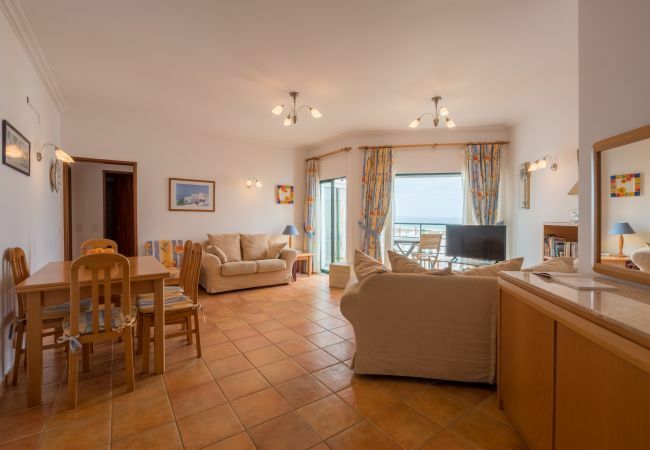 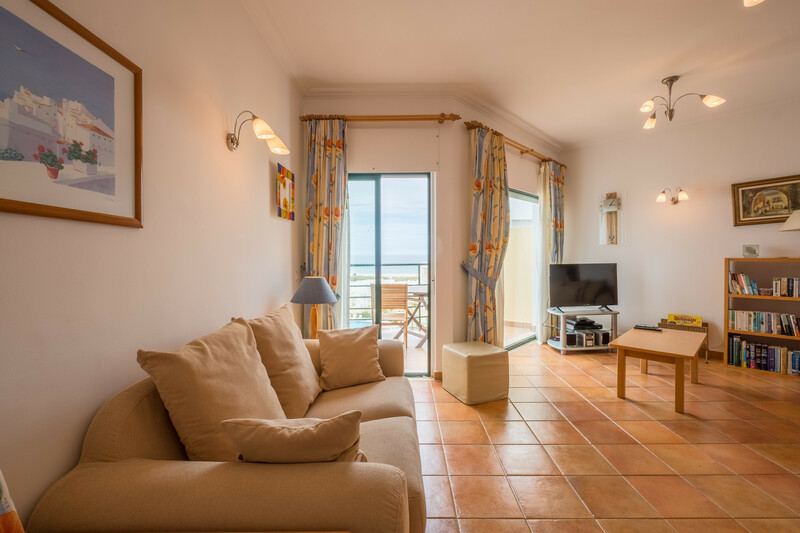 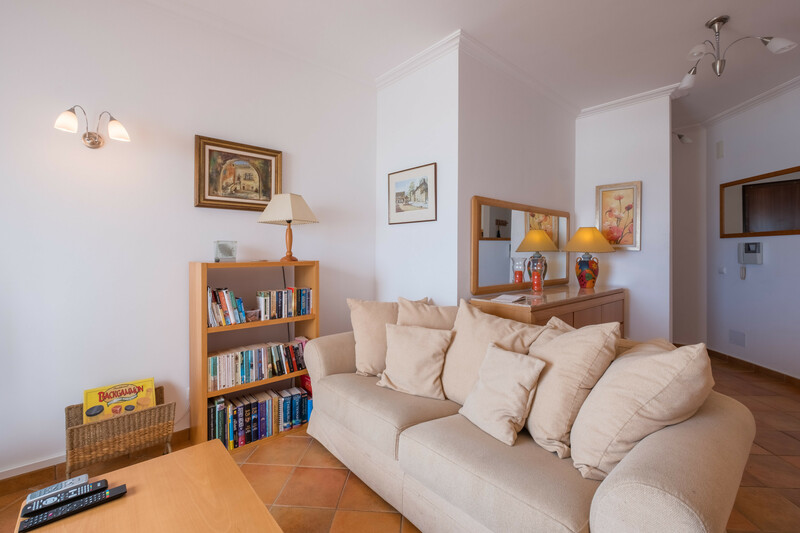 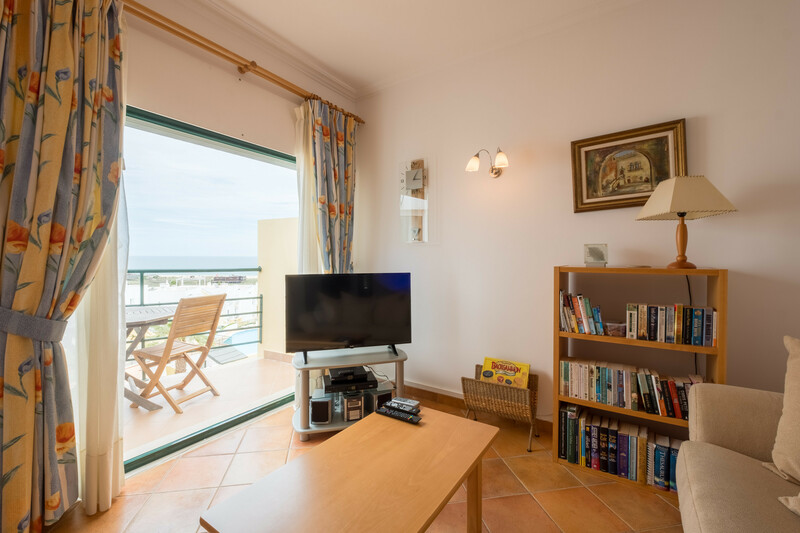 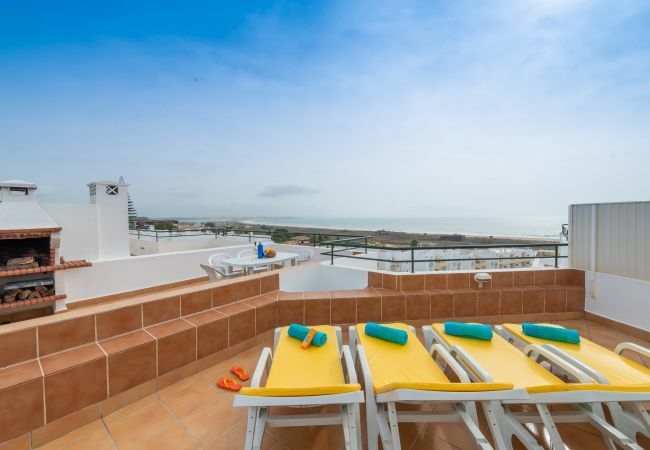 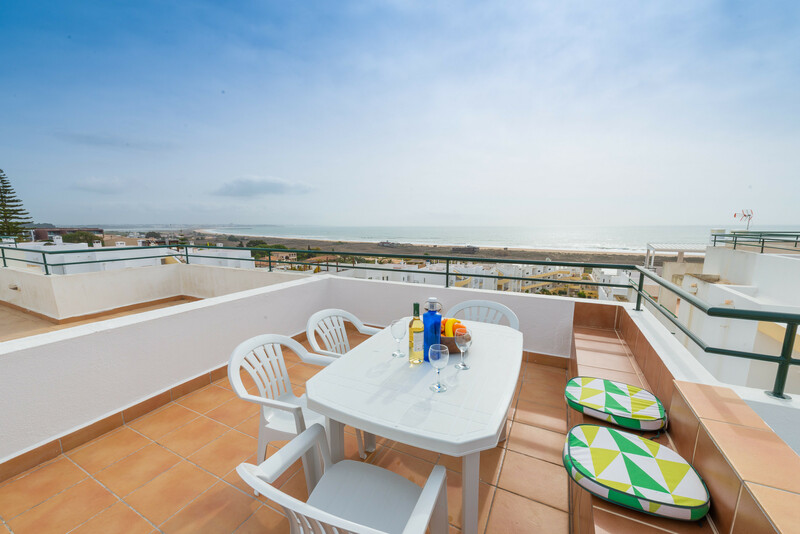 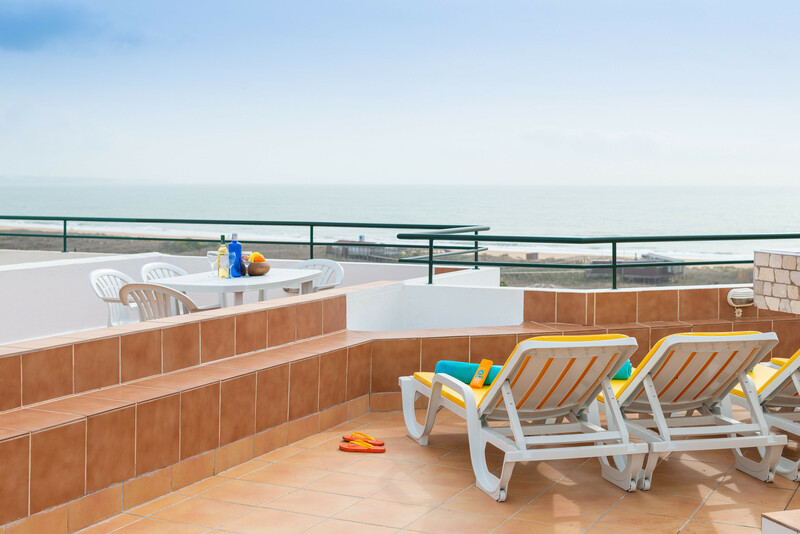 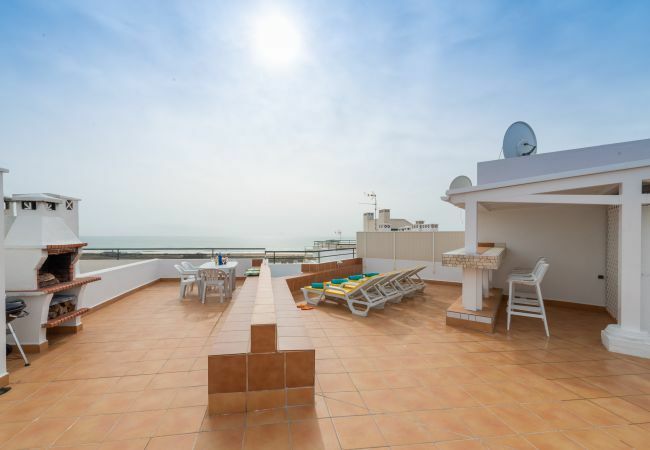 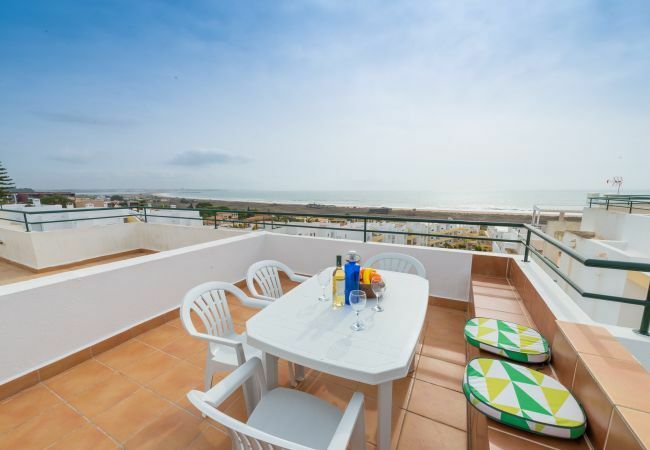 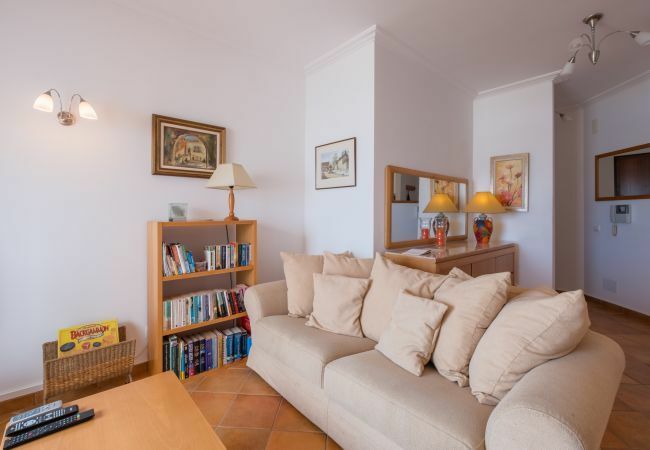 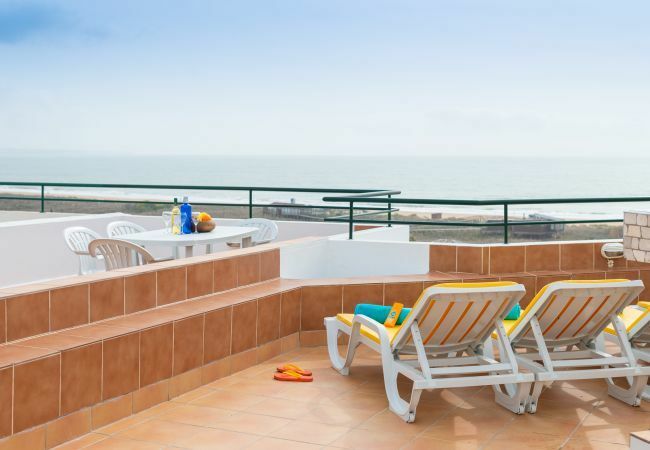 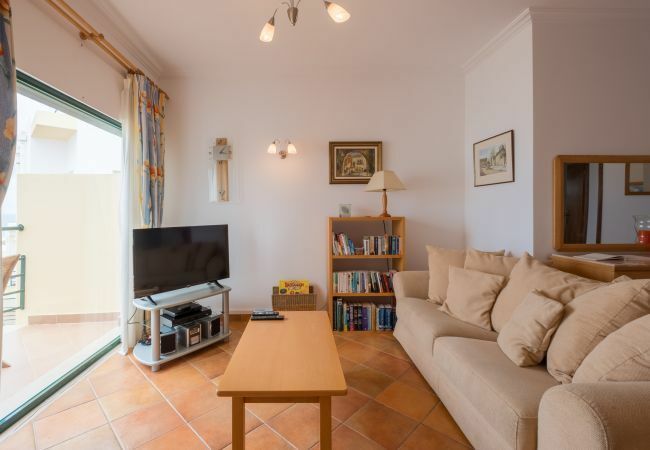 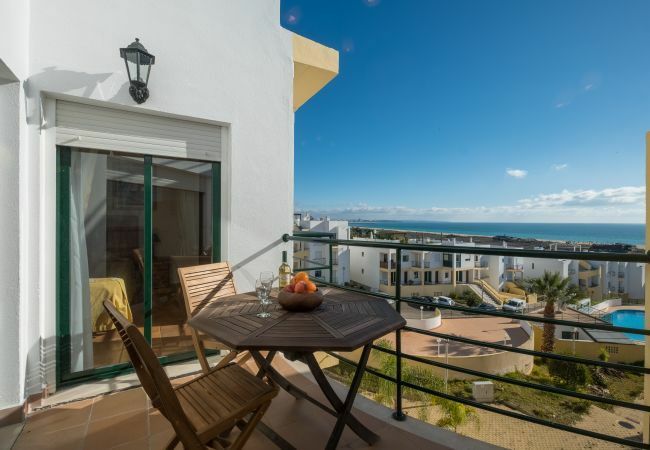 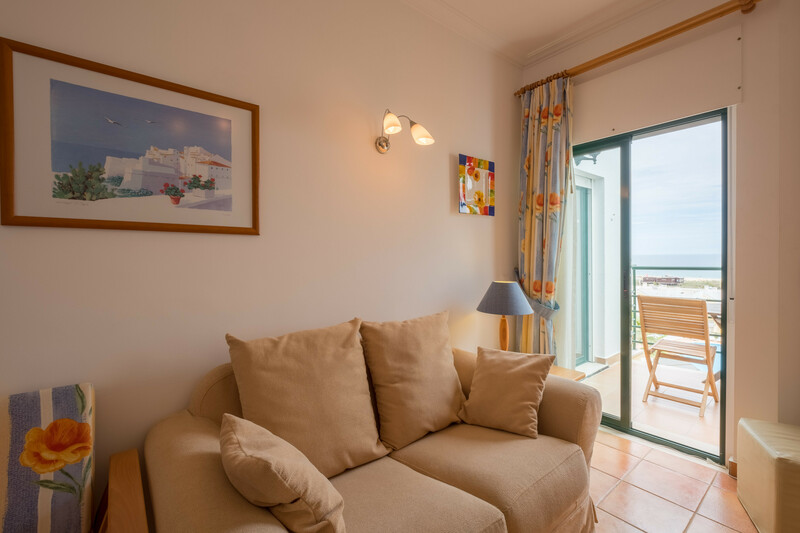 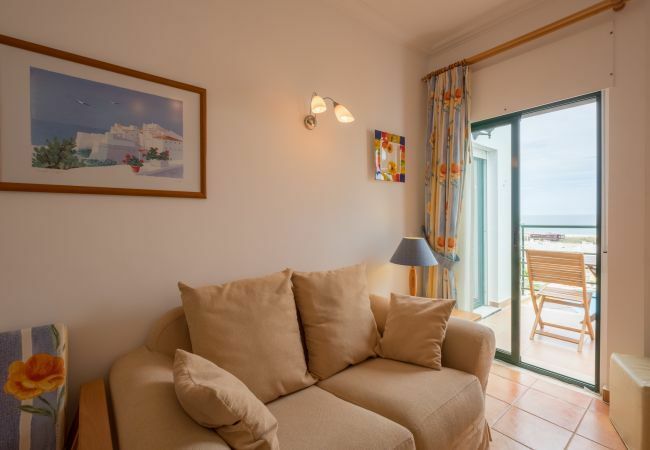 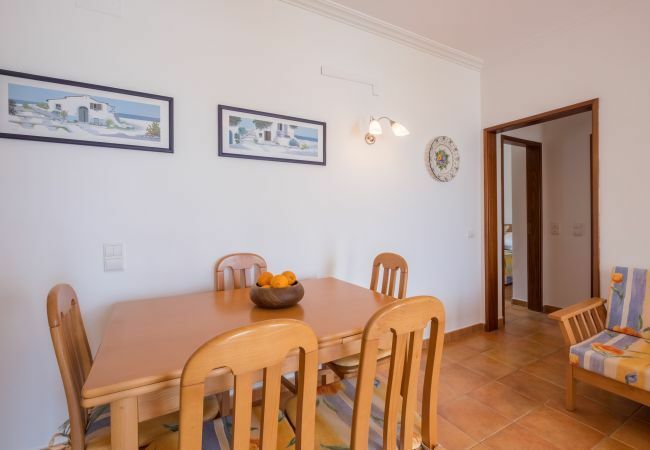 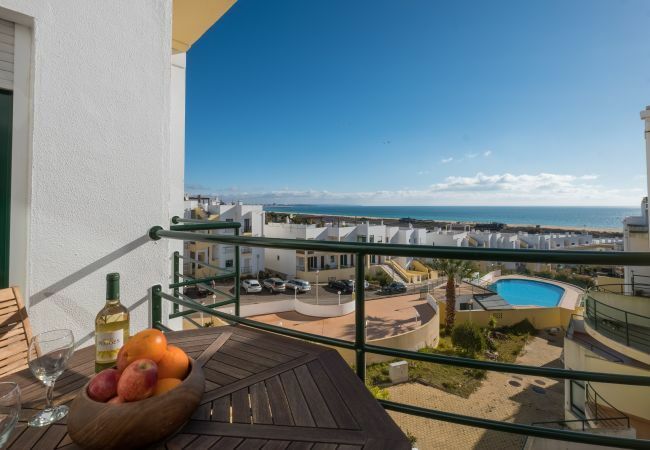 This comfortably-furnished 3-bedroom top-floor apartment (with lift access and exclusive use of a private roof terrace with stunning views) is located just 300 m from the beach front. 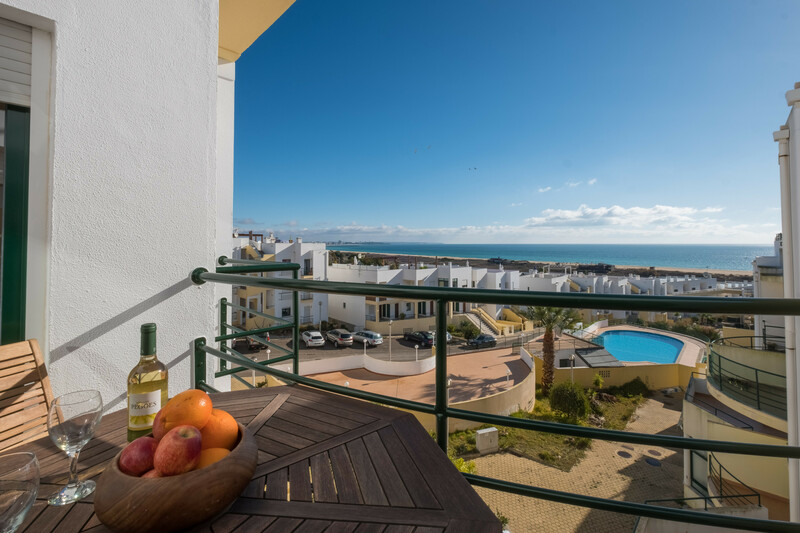 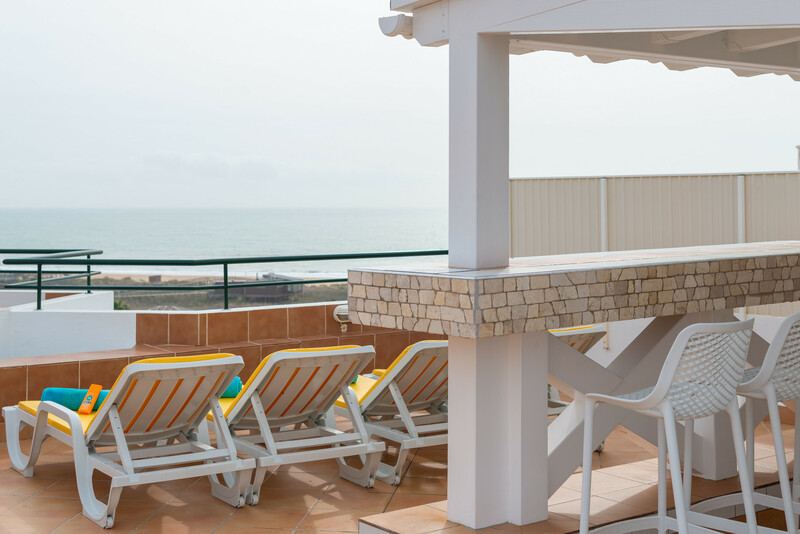 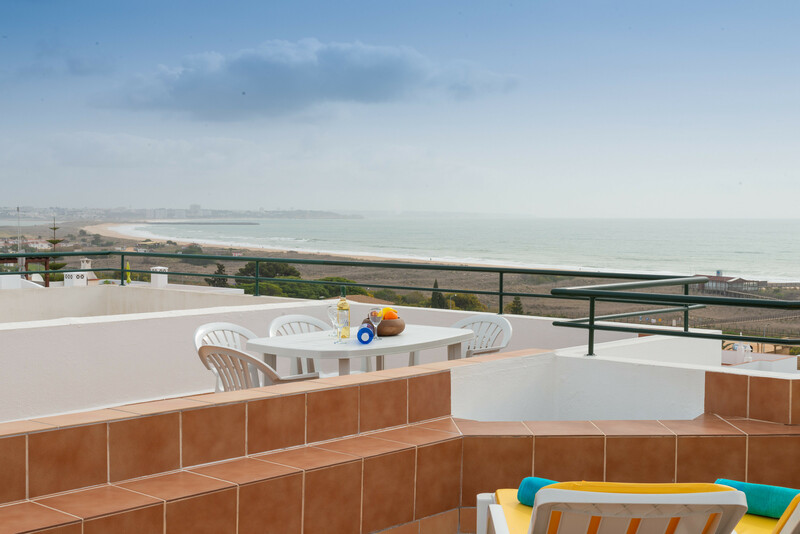 From the lounge, master bedroom and large private roof terrace, there are fabulous views towards Meia Praia beach and Lagos bay, and from the roof terrace all the way to Alvor. There are also lovely countryside views from the two other bedrooms and the roof terrace which is not overlooked by other buildings.. 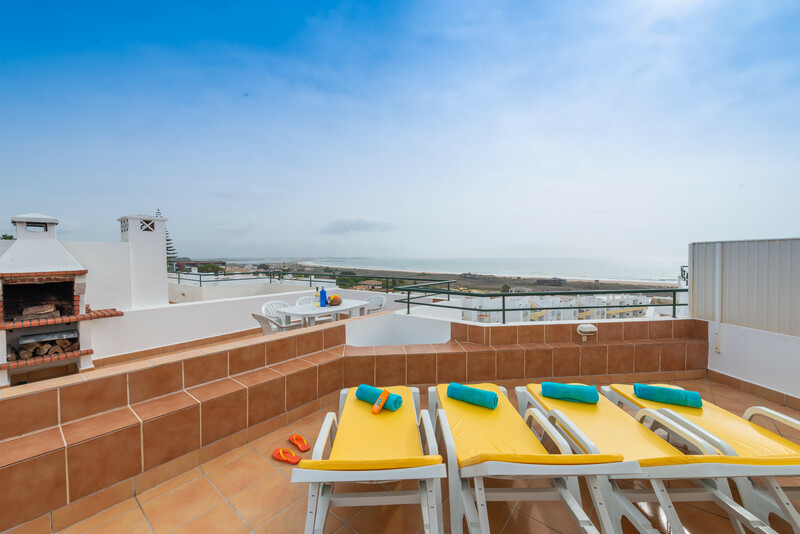 The spacious roof terrace is equipped with both a built-in and a portable barbecue and outside furniture for al-fresco dining, as well as sun loungers for relaxing in the sun. 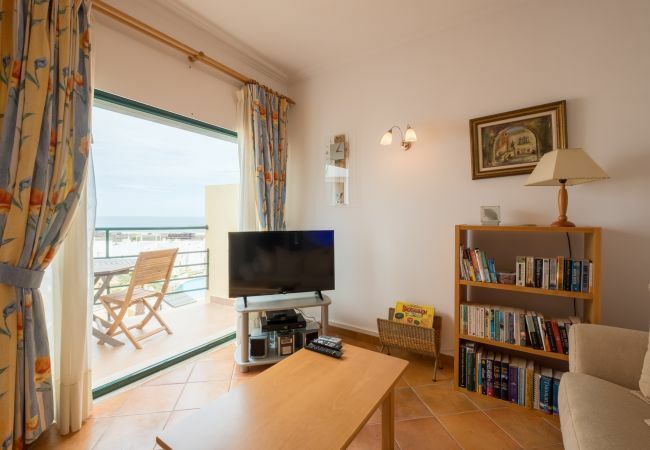 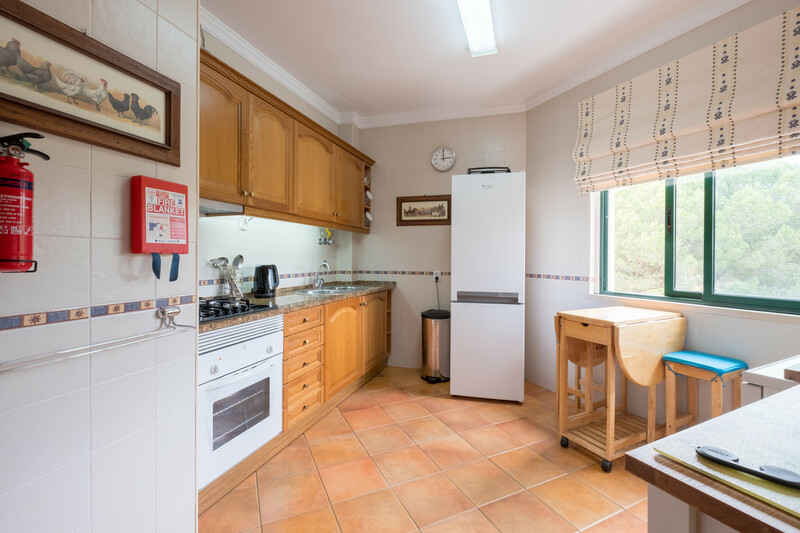 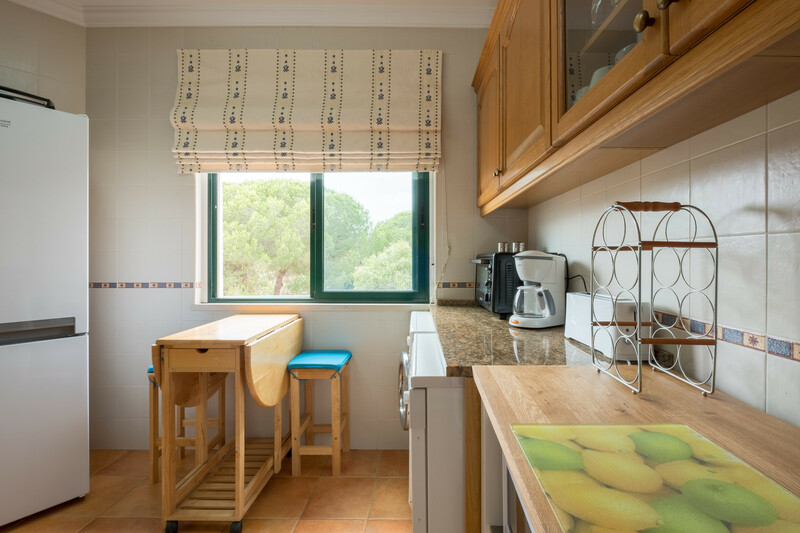 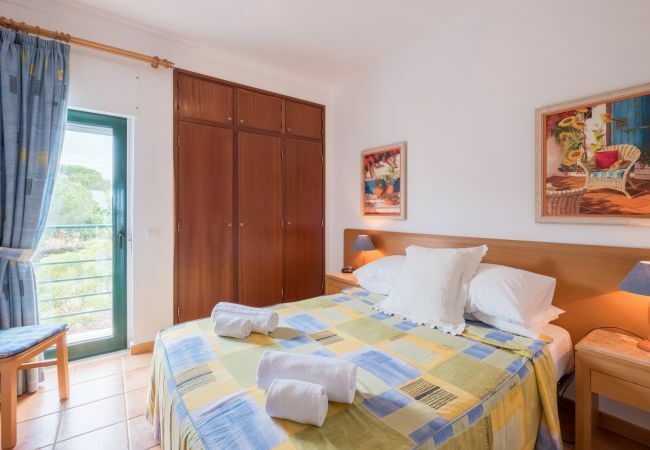 The apartment is located on a condominium with on-site facilities including a communal swimming pool (approximately 15 x 18m) and pool-side snack bar. 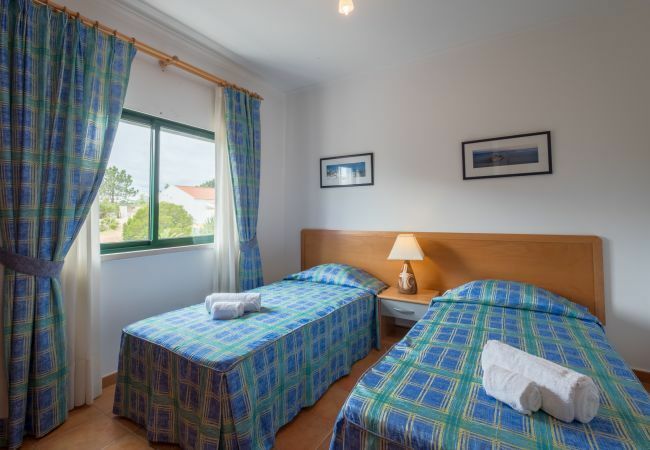 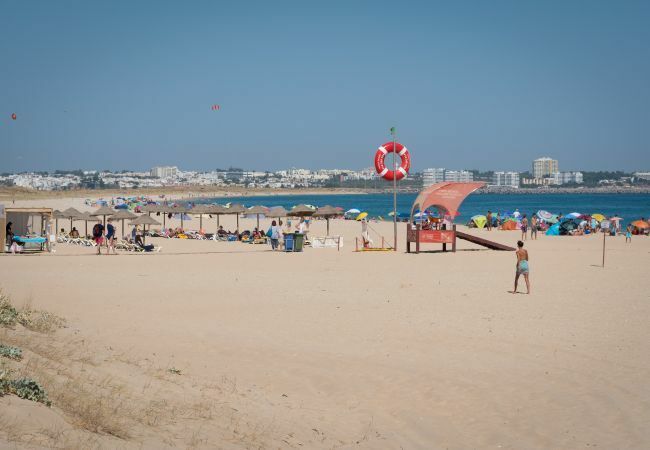 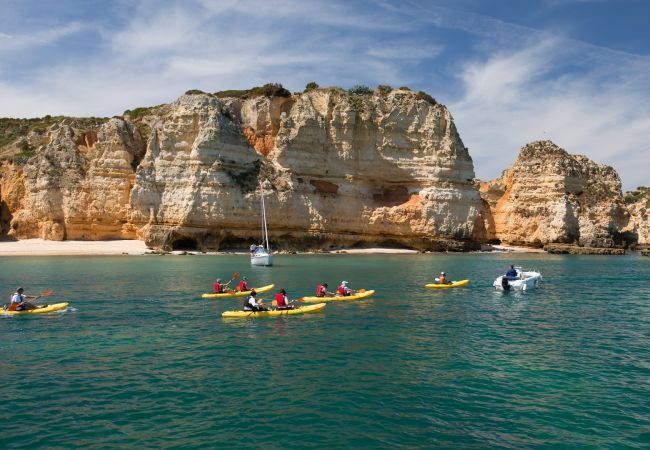 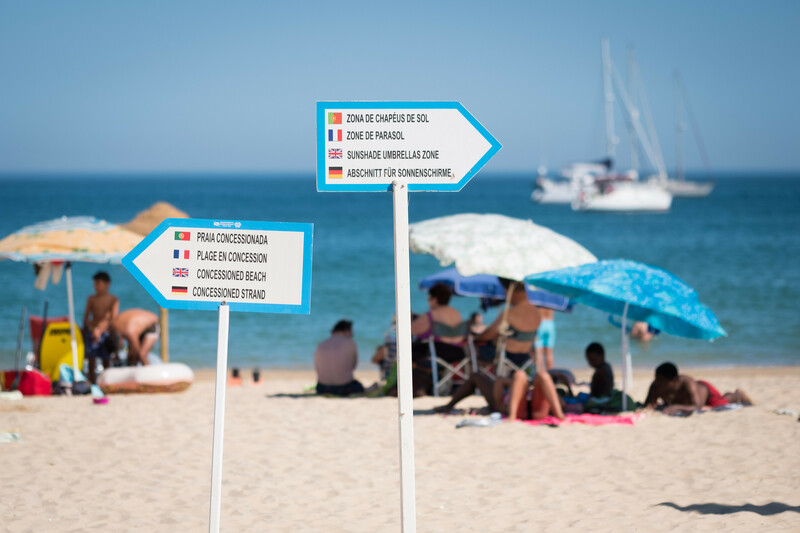 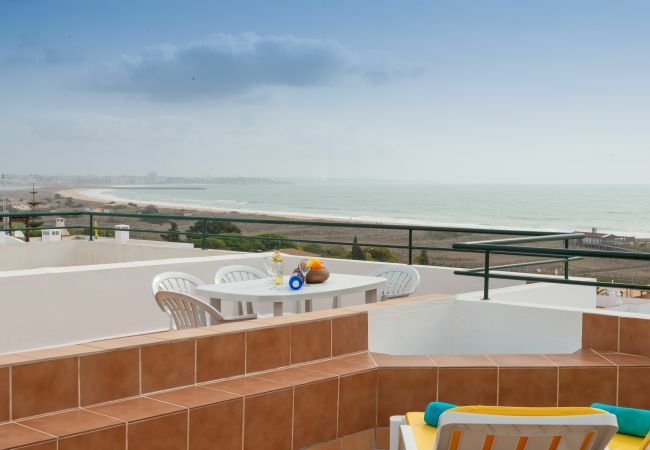 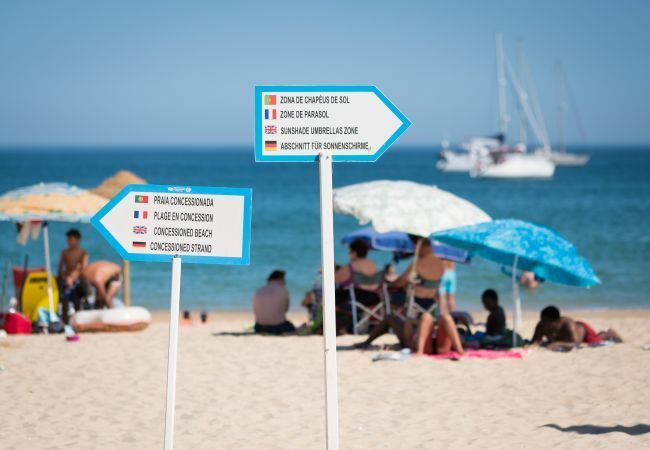 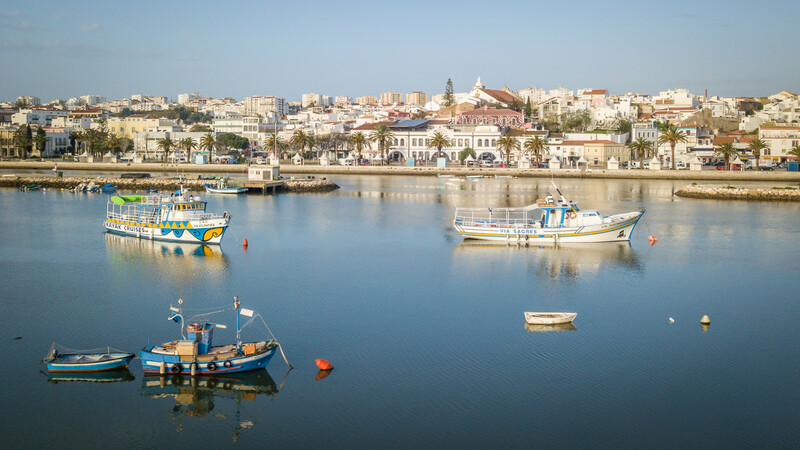 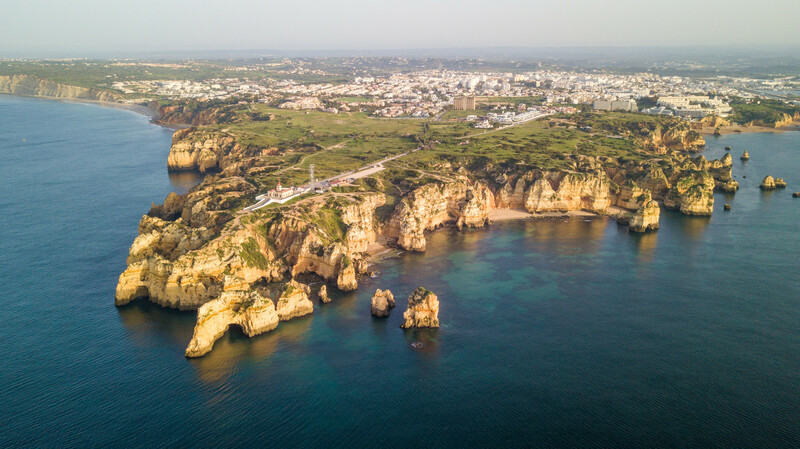 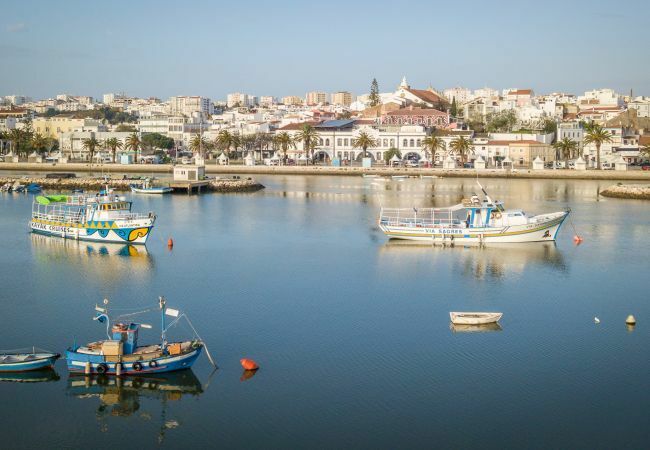 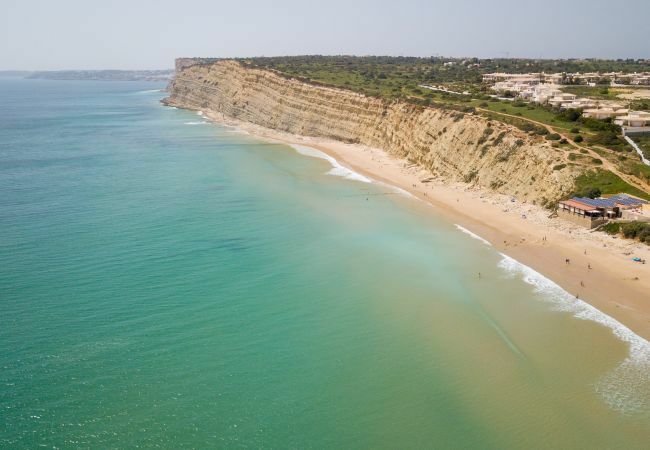 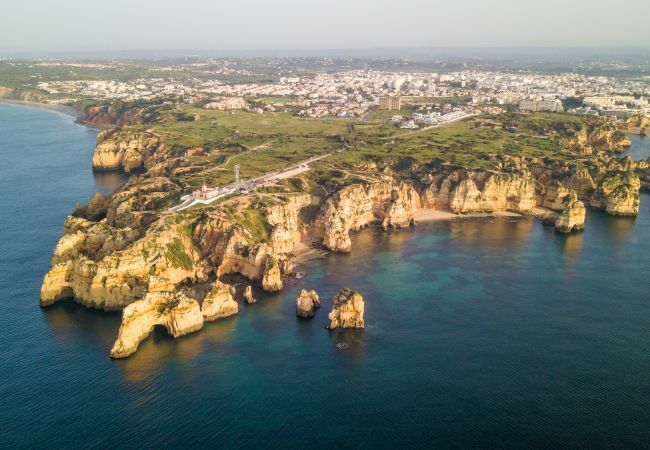 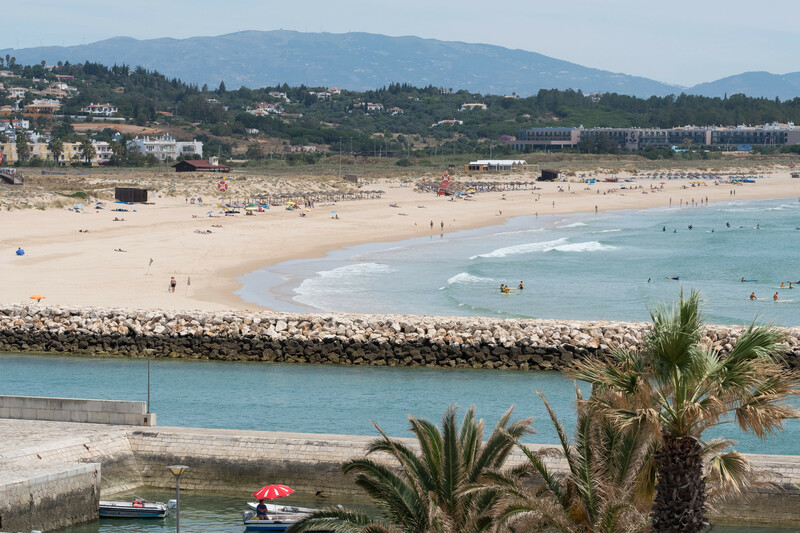 The beach ('Meia Praia') is a beautiful sandy beach that stretches for 5 kms from Lagos to the Alvor estuary with various water sports facilities and several excellent beach restaurants within easy walking distance to the apartment. 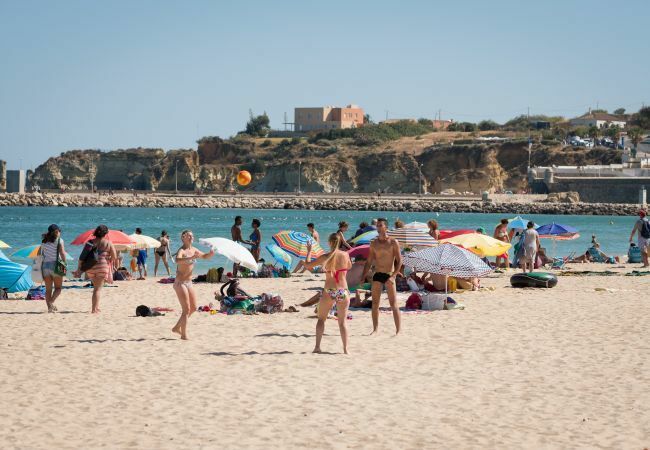 There are lots of activities locally or if you prefer plenty of space to relax and re-charge your batteries. 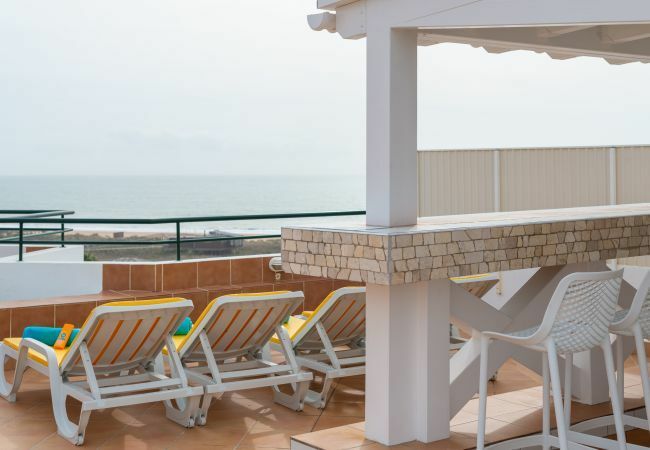 It is an easy and level 15-20 minute walk to the Lagos Marina where you can find various bars, restaurants, and some shops. 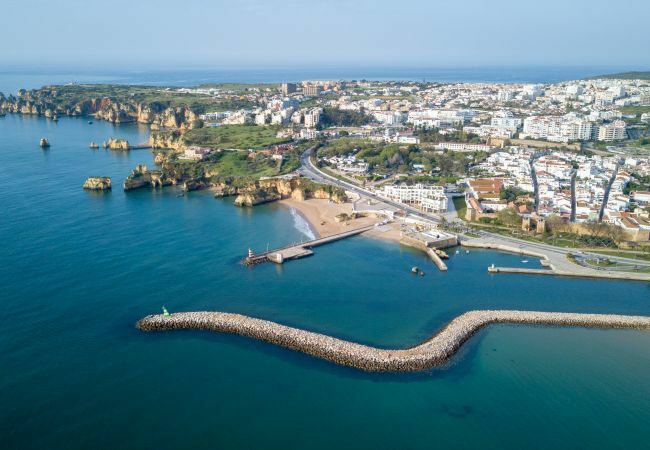 A further 5-minute walk takes you to Lagos centre. 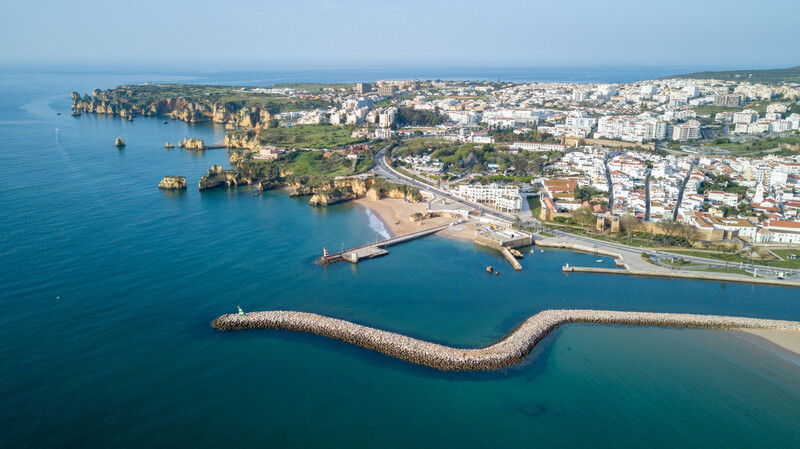 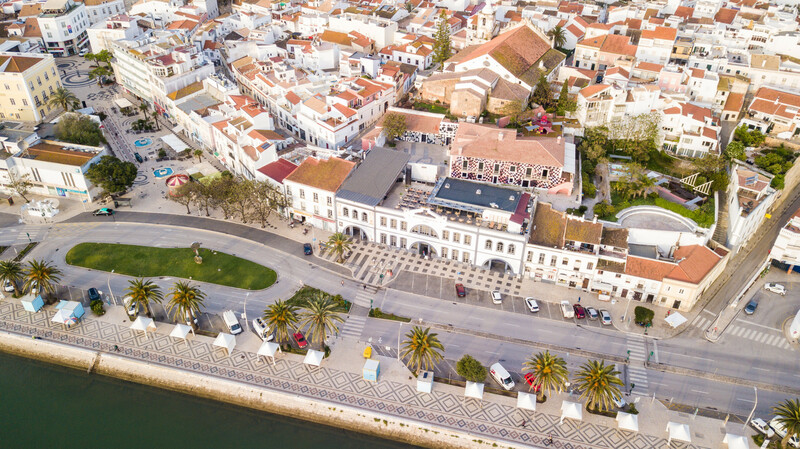 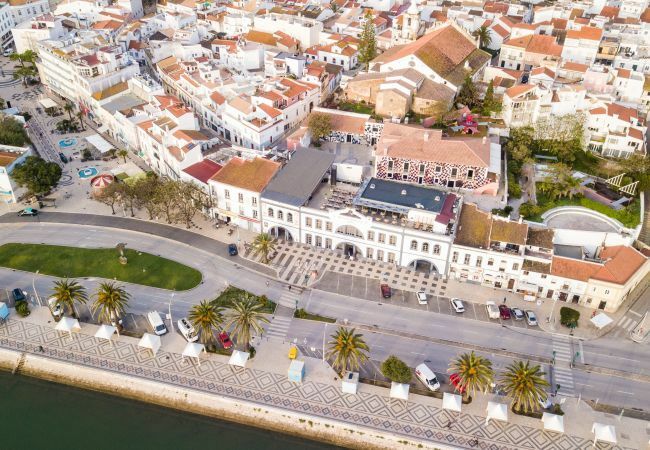 There is a local bus service (and train service) with stops within a 5-minute walk from the apartment with a direct link to Lagos and its historic centre. 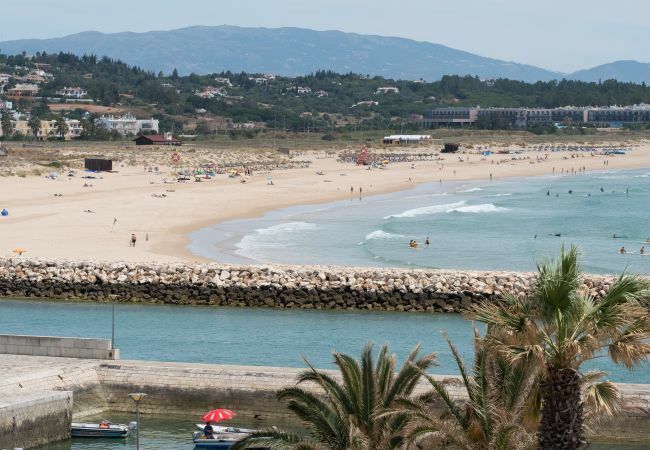 In the summer months from May to October there is also the little tourist train that stops very regularly just outside the urbanisation (approx 5 minute walk). 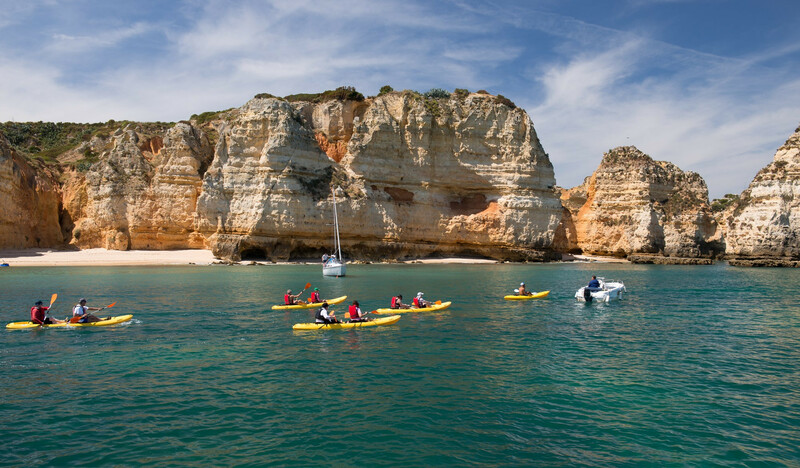 This will take you to the town and various beaches around Lagos - and its great fun too! 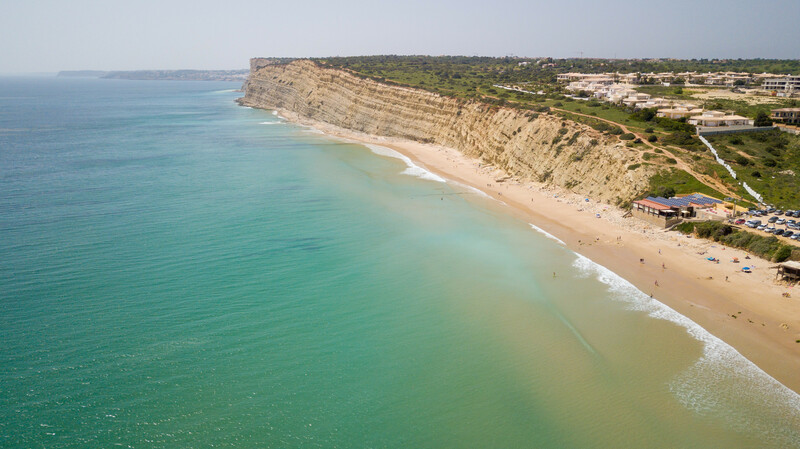 The golf course at Palmares is just a few minutes drive, with the courses at Boavista and Penina a short drive away. 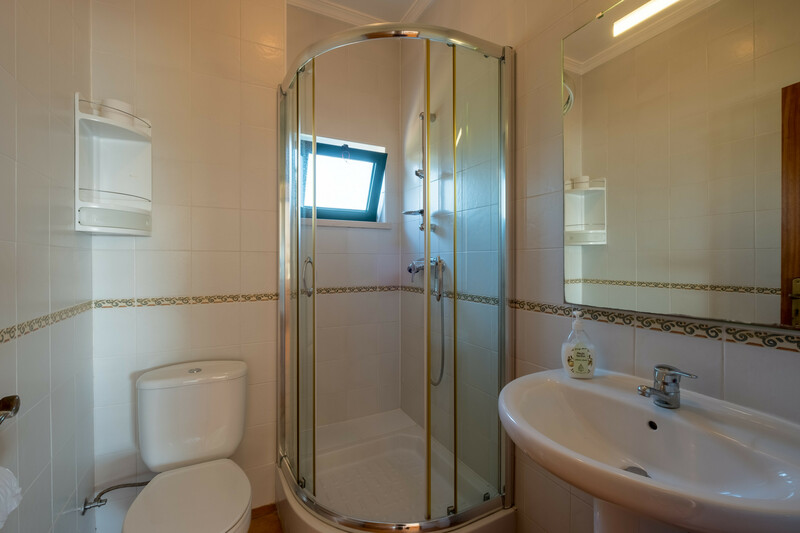 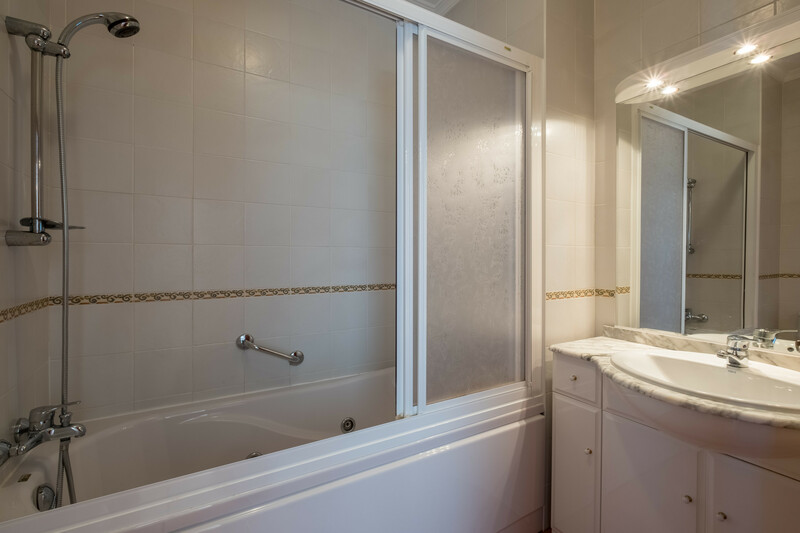 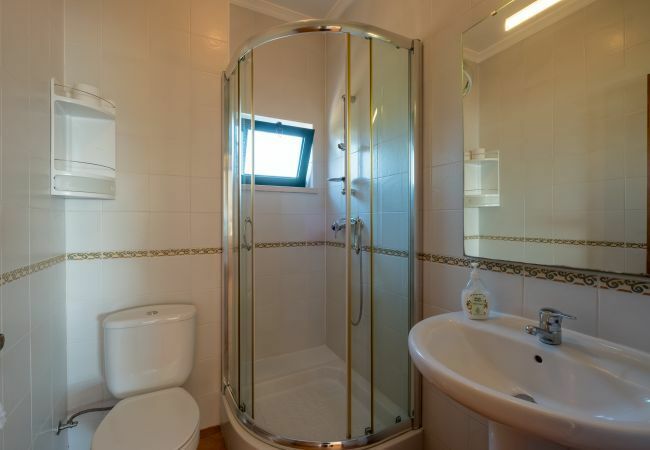 - 1 Bathroom with bathtub, 2 Bathrooms with shower, 2 Toilets, Hair dryer. 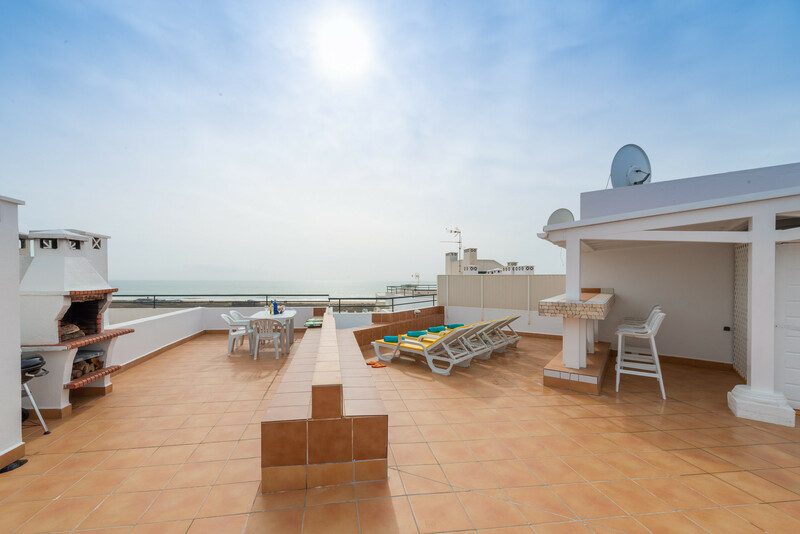 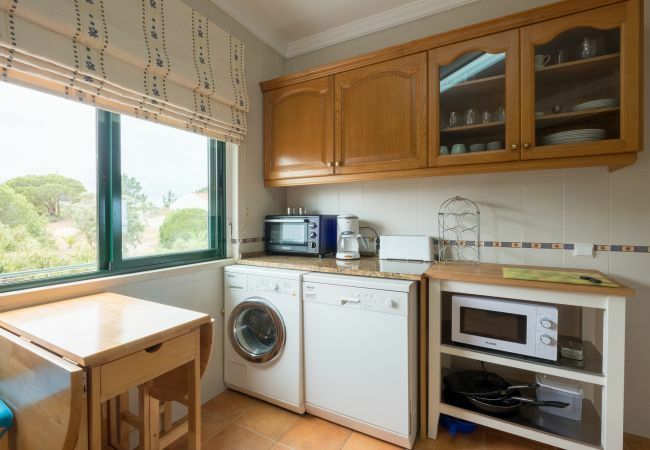 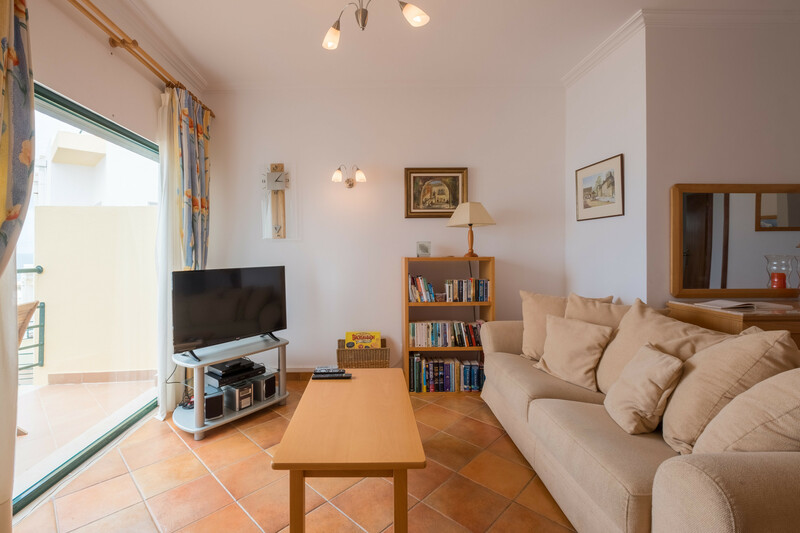 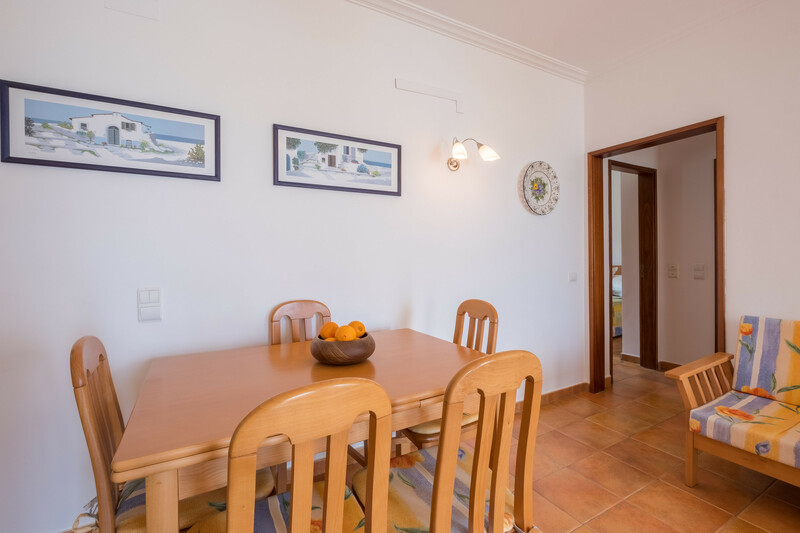 - 2 TVs, Stereo, DVD, 3rd floor, lift, terrace, barbecue, iron, internet (Wi-Fi), hair dryer, balcony, 100 m² property, electric heating, communal swimming pool, Open-air parking in the adjoining building.